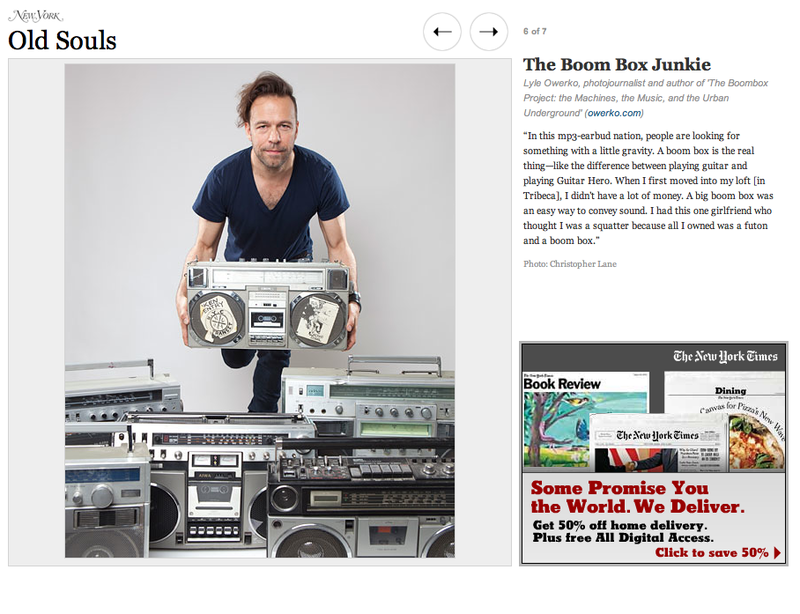 In this week’s New York Magazine Lyle is in front of the camera, talking about his collection of boom boxes — which he documented in his book and recent show at Clic gallery (both titled The Boombox Project). See the full article (along with Lyle’s fellow analog collectors) here. You are currently browsing the Vernon Jolly blog archives for July, 2011.